Game Ranger Sean Harris has recently joined the ranger’s team and has fitted in well. He is a friendly, enthusiastic and passionate member of the team and has loved every minute of guiding at Shamwari thus far. Previous roles: I worked in and around the Kruger National Park in the surrounding area for about a year at various game reserves. I then worked at Return Africa in the Kruger National Park before starting at Shamwari. I am passionate about giving my guests the best safari experience whilst enlightening them about wildlife and conservation. 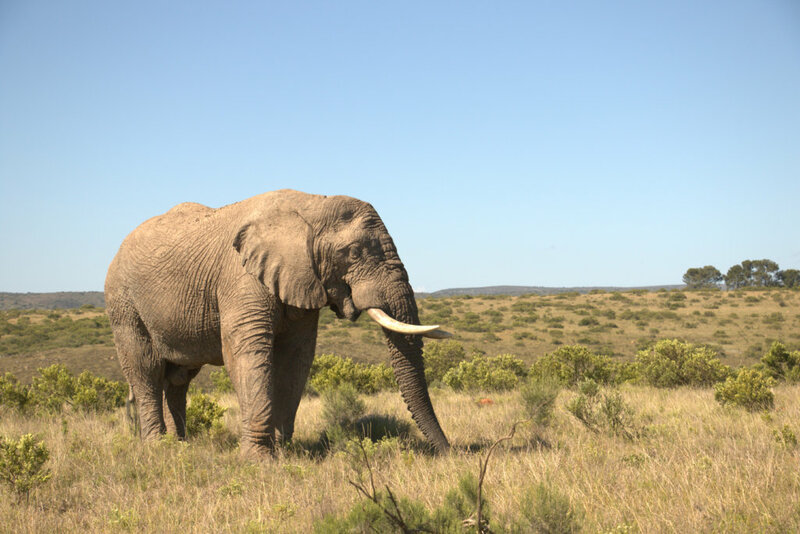 By doing this I hope to encourage them to become wildlife enthusiasts who will return to Shamwari and in turn support conservation as a whole and ultimately species preservation. I really enjoy seeing the interaction between animals when on drive and the look on my guests faces when they see wildlife for the first time. For such a small creature they are very feisty, they have no problem standing up to larger predators. The emotional bonds that elephants share is something us as humans can relate to. I thoroughly enjoy watching the interaction between elephants. I was guiding out of Explorer Camp with my colleague, Leon Strauss. We were on our way to do a walk when we came around a corner and saw a secretary bird next to the road. As we approached, the bird was looking around. It surprisingly wasn’t fazed by our presence. Our guests were delighted as it was their first sighting of this spectacular bird. As Leon and I were explaining the hunting methods of the bird, we turned to look back at it and something had caught the bird’s attention. We watched as it stared intently at a flattened nest of grass belonging to a scrub hare. Suddenly, the scrub hare popped up out of the nest and the secretary bird went in for the kill. Secretary birds usually hunt snakes and small birds, so this was an incredibly rare sighting! They stomp on their prey and then use their break to break the pieces into manageable portions. Our guests were in awe of this amazing act of nature. We then left the sighting and stopped to take a walk where we approached giraffe and their youngsters. We also saw three jackal pups playing in their den. An amazing way to end off an unbelievable weekend at the Explorer Camp. It certainly will be a memory I will always cherish as a guide. A person that is a figure of positivity. A person filled with unimaginable knowledge – of his career and of every day life. His stories told about certain flowers, certain trees. His compassion for each and every animal and desire for conservation. His way of giving life to things many would never have otherwise done or thought so. A person with the utmost passion for his career. A welcoming, enthusiastic person. Truly and simply a spectacular Game Ranger. Words will never do justice. Thank you for your comment, Alexandra. Sean certainly is an asset to the Shamwari team.